You deserve all the extras! Marco Polo Plaza, Cebu has 329 well-appointed guest rooms and suites with spacious bathrooms, premium amenities and modern features. Guestrooms and suites between the 19th and 23rd floors are undergoing renovation. Construction work is limited from Monday to Saturday between 0800H and 1700H. A certain level of noise is expected to affect some guest rooms but all efforts will be made to minimize any disturbance. Thank you for your understanding as the Hotel continues to upgrade and enhance guest experience. Room Facilities include free WIFI internet connectivity, 32-inch LCD TV with cable channels, voicemail and IDD phones, private hot and cold shower, pillow menu, in-room safe, coffee and tea-making facilities, mini bar and 24 hour room service. Guests are assured of 24-hour security and safety measures with strategically placed camera monitors, regular patrols and fire drills. 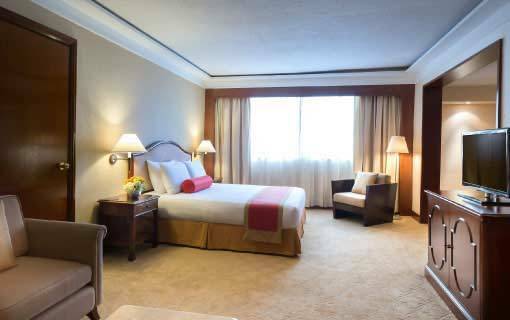 Marco Polo Plaza Cebu hotel has 329 well-appointed guest rooms including 20 suites with spacious bathrooms, fine amenities and modern features. Room facilities include 32-inch LCD TV with cable channels, voicemail and IDD phones, private hot and cold shower, in-room safe, coffee and tea-making facilities, mini bar and 24-hour room service. Guests are assured of 24-hour security and safety measures with the hotel’s strategically placed camera monitors, regular patrols and fire drills. 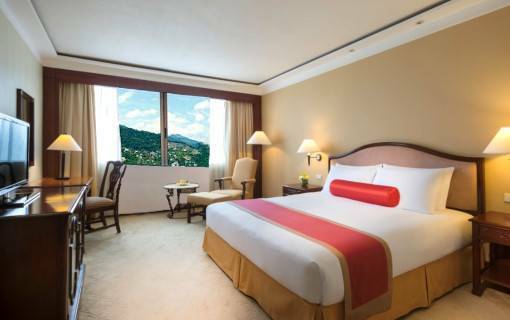 Enjoy a refreshing view of the mountains of Cebu from a spacious and comfortable Deluxe Room. The 32 sq m / 345 sq ft accommodation can fit 3 adults or 2 adults with 2 children. 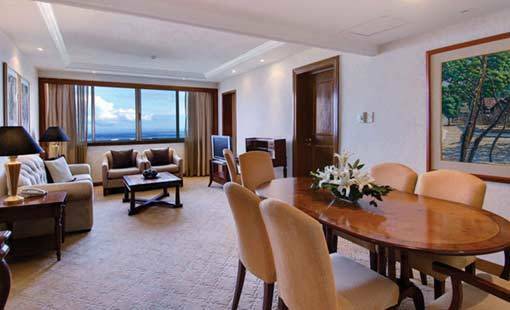 Enjoy a sweeping view of Cebu City and Mactan Island from a spacious and comfortable Deluxe Room. The 32 sq m / 345 sq ft accommodation can fit 3 adults or 2 adults with 2 children. 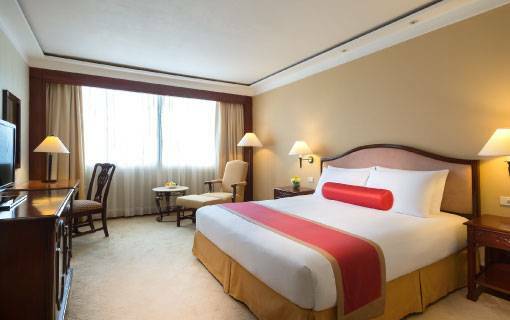 The Premier Mountain View room are newly renovated and situated at the 19th to the 21st floors. It offers a spectacular view of the mountains of Cebu from a much higher elevantion. It has built-in bidet and extra premium amenities. The 32 sq m / 345 sq ft accommodation can fit 3 adults or 2 adults with 2 children. 32 sq m. / 345 sq ft . 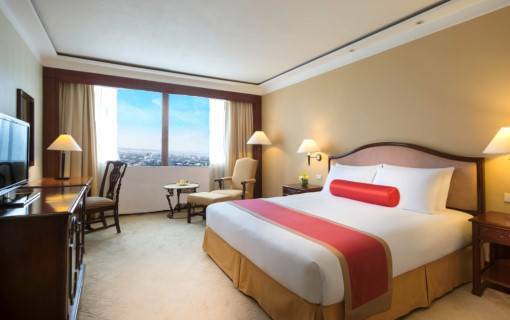 The Premier Seaview rooms are newly renovated and situated at the 19th to the 21st floors. It offers a panoramic view of Cebu City and Mactan Island from a much higher elevantion. It has built-in bidet and extra premium amenities. The 32 sq m / 345 sq ft accommodation can fit 3 adults or 2 adults with 2 children. 32 sq m. / 349 sq ft. The Continental Club is Marco Polo’s signature executive floor. 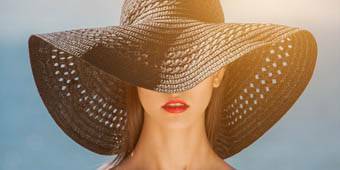 It provides upgraded accommodation, services and amenities including complimentary in-room Wi-Fi and exclusive access to the Continental Club Lounge. The Lounge located at the topmost floor provides a panoramic view of Cebu City and Mactan Island as well as the mountains and hills. 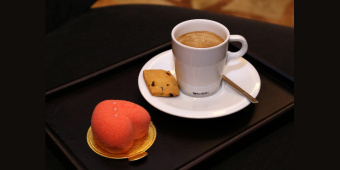 It offers complimentary breakfast and all-day refreshments, happy hour cocktails and free Wi-Fi. It has a private reception that takes care of VIP check-in and check-out, a board room and a private space for discerning guests who are on a business or leisure trip in Cebu. The Continental Club Rooms of Marco Polo Plaza Cebu are situated on the two topmost floors of the hotel building and provide a breathtaking city and sea view. They come with Club benefits such as private check-in and check-out, access to the Club Lounge along with luxury amenities. Private check-in and check-out, complimentary use of the Boardroom and complimentary all-day refreshments and evening cocktails apart from the complimentary breakfast at Club Lounge; These are just some of the perks our guests enjoy when they stay at our Continental Club Rooms. All of our suites provide privacy, luxury and careful attention to detail designed for today’s guests whether on a business trip or leisure. 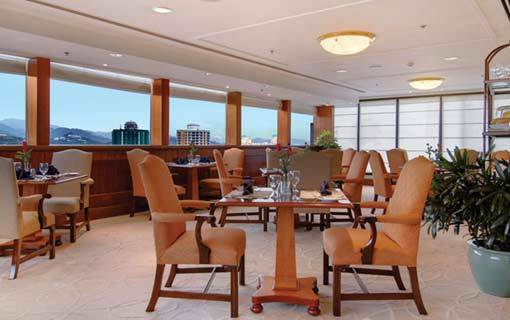 Guests enjoy free access to the Continental Club Lounge which provides a spectacular view of Cebu City’s business districts or the hills and mountains on the other, from a thousand feet high. 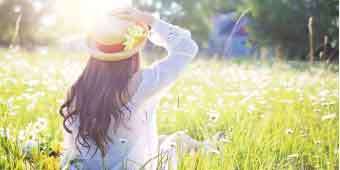 They can unwind and relax after a long day, or work in seclusion and privacy with all-day refreshments and free Wi-Fi. The Queen City's horizon welcomes you as you enter our 47 sq m / 507 sq ft Deluxe Suite. Unwind in your own mini-living room and enjoy a specious bathroom with luxurious amenities. Guests staying in suites will have access to the Club Lounge. 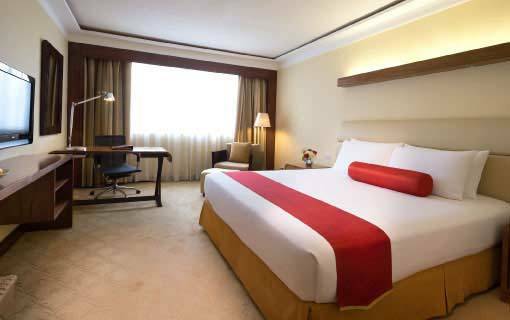 This room comes with complimentary Wi-Fi access and can accommodate 3 adults or 2 adults with 2 kids. 47 sq m. / 507 sq ft.
Revel in the luxurious ambiance offering tranquil view of the Queen City of the South, Cebu. It has a bedroom with a king sized bed, a spacious living room, a dining room, a powder room, a shower room and an access to the Continental Club. It has complimentary Wi-fi internet access and can accommodate 3 adults or 2 adults and 2 kids. 60 sq m. / 646 sq ft. Perfect for your special occasions. Radiant with its contemporary design, this exudes poetry and grace with its finest and chic décor. This suite is situated on the 23rd floor offering an extravagant master bedroom, a spacious living room, a bedroom, private dining area pantry, powder room with sophisticated bathroom Jacuzzi and luxurious amenities. This is with complimentary Wi-Fi internet access. 107 sq m. / 1,153 sq ft.